A GARDEN PARTY BENEFITTING ACF!! SUNDAY SEPTEMBER 19th, 2:00-4:00 P.M.
On Septebmer 19th, 2010 ACF supporters and friends and family of Alex Chiles all met up to raise money for the foundation and provide information to those just finding out about this amazing cause. SATURDAY MAY 15th, 1:00–4:00 P.M. 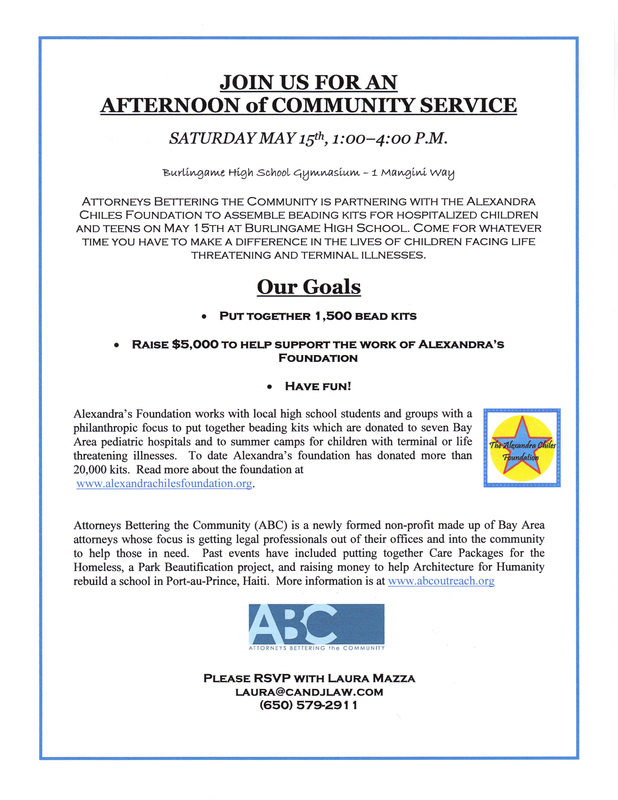 Attorneys Bettering the Community partnered with the Alexandra Chiles Foundation to assemble beading kits for hospitalized children and teens on May 15th at Burlingame High School. To see pictures of the event please click here. 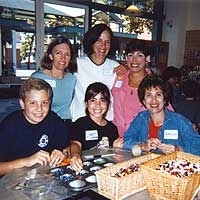 Click here to see our event flier.